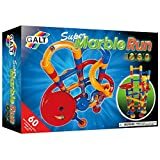 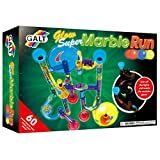 There is something fascinating about watching a marble roll for children and adults alike so this makes a great gift for parents and their children. 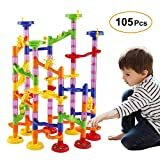 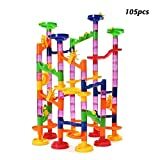 This is an 88 piece building set that includes 10 marbles, everything is durable, colorful plastic. 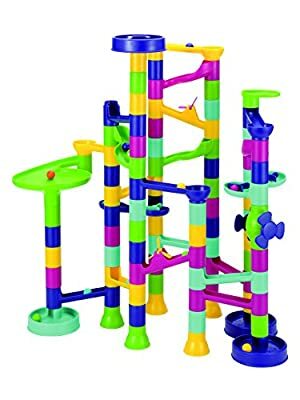 The building pieces include semi-transparent hollow tubes for the marbles to fall through and add height to the design, plus various ramps and slides for the marbles to roll along. 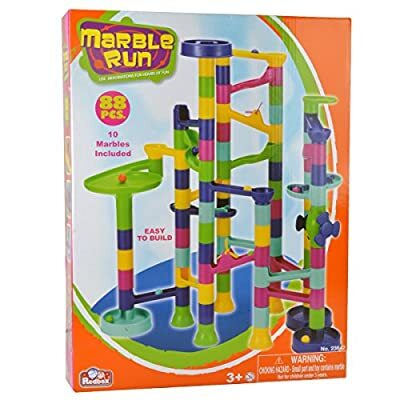 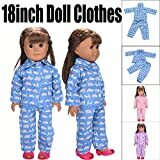 The set is recommended for children ages four and up and the small marbles are a potential chocking hazard. 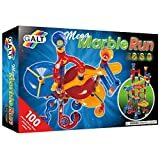 The set includes instructions for building three different marble layouts.